At GramLine® we are often asked if we sell Colorbond. On further discussion it soon becomes evident that the customer thinks that all prepainted steel is Colorbond. In the minds of many people Colorbond is the word that means prepainted steel. In fact that’s not the case. There are hundreds of companies around the world who produce prepainted steel and prepainted aluminium, and there are a few companies in Australia who produce prepainted steel and aluminium. 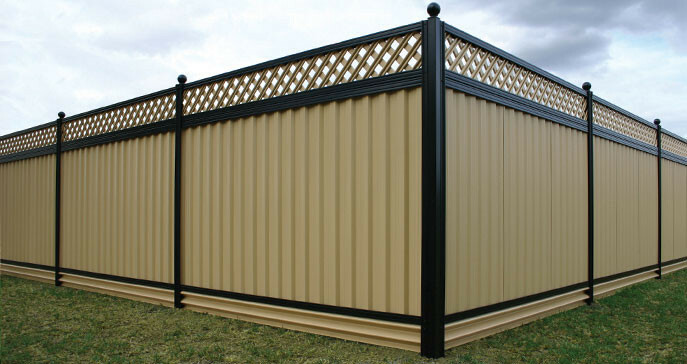 Colorbond is a brand name owned by BlueScope Steel. Originally Colorbond was the brand name for prepainted steel produced by BlueScope. That meant that product such as roofs were not Colorbond in themselves – they were roofs made from Colorbond Steel. In more recent times BlueScope has changed its trademark registrations for Colorbond, and has expanded the range of goods protected to include a host of other things. As can be seen from this exert (below) from IP Australia who administer and maintain Australia’s official trademark register, Colorbond now also applies to metal plates, bars, rods, slabs and ingots, ceiling panels, floor decking, water tanks, pipes, valves, gutters, bolts, screws, rivets, nails, brackets, clips, and clamps. We’ve never seen Colorbond nails, screws, clamps and so on. We ask – is this misleading and is it any wonder that we are confused ? BlueScope Steel has even been known to ask its customers to brand their products as ‘Colorbond®’, for example, a customer who manufactures coloured metal roof cladding was asked, to brand their product Colorbond®. The purpose – to promote BlueScope’s, rather than the customers brands. We know customers who were and still are offended by that request from BlueScope Steel. The customer wants to promote their own brands and their own products – not those of a supplier of an input material. The quality of prepainted steel depends on many factors including the quality of the pretreatment, the quality of the steel, the consistency of the metallic coating and the paint, and the accuracy with which basic things such as coating thickness of the paint and the galvanising is measured and controlled. As an example poor quality control around paint thickness can lead to early fading, delamination of the paint and excessive coating erosion not to mention degradation of the primer. At GramLine® we only use quality assured ColorSealed® prepainted steel. We use a paint quality that is an advanced high durability system designed to meet the heavy duty performance required for roofing, even across out SPF® fencing range of products. All GramLine® products are coded with a unique production batch number and that way our products are fully traceable back to the production line. Insist on quality assured GramLine® products for your assurance of quality and great product performance.